\hi there! I've had my babies about 10 months now, and they are pretty well bonded I think. they aren't scared of me, rarely crab (unless [censored] off that I keep waking them up to peek in! lol) and love to crawl all over me and groom me nightly. The one thing they don't seem to like is cuddling in my hands or letting me pick them up. they will sit on my open hand, or crawl on to my hand if I reach out to them, but they seem to get scared if I close my hand around them at all.. e.g. trying to pick them up, or trying to cup them and cuddle. i heard one good way to get them used to my hand is to stick my hand in their pouch when they sleep. has anyone tried this? or any other tricks? Putting your hand in the pouch while they sleep is a good way to get them used to hands. 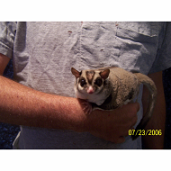 But a lot of gliders do not like to be confined by your hands. I had a rare one with Tucker, he liked to be held tight. I put my hand into the pouch with my two gliders and just let it sit lightly on top of them. After they've settled down and been still with my hand in there for a while, then I turn them over - with my free hand cupping them from outside, I turn the whole thing over so that they end up in my palm in the pouch. They usually take a few seconds to adjust position after the flip, and then grab onto my fingers and settle down again. 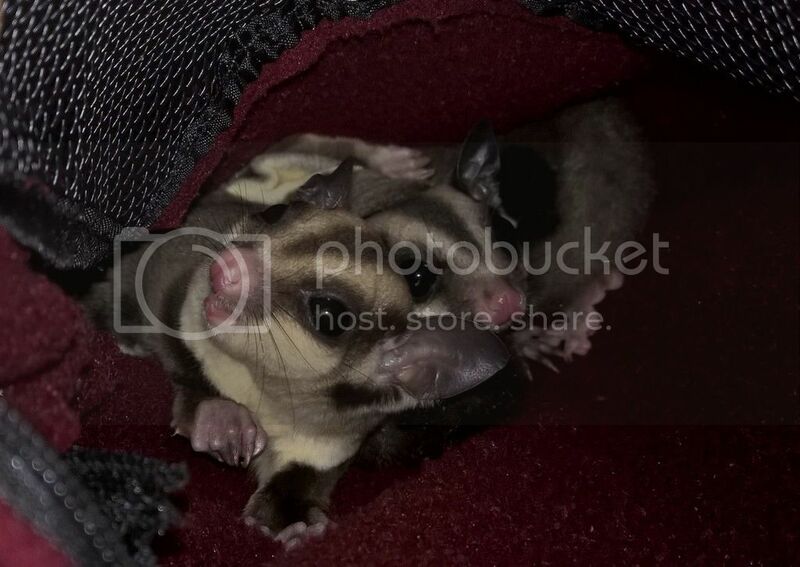 This is also a great maneuver if I need to move them out of their pouch for any reason, since that makes it easy to take them out while they're still sleeping. Here's two different but similar ways of working with a glider in a pouch. One is pictures. Variation of ways to have in or on pouch. I prefer hand over glider even on my chest because it is easier to get up and move around compared to lying in open hand, that comes later for me with treats.